Hey Jeff! 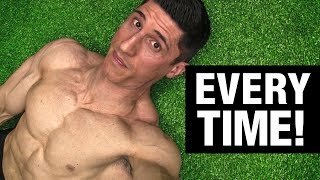 I am really interested what would be your advice (or a plan) how to prepare for workout in terms of warming up and dynamic streching. Can you refer to the video of this guy:? mreporter.net/v/video-xbOxmQRi7fM.html I think it is a major stuff for all us out there trying to push hard but still stay out of injuries. Cheers!